Religions have functioned throughout human history to inspire and justify the full range of human agency from the heinous to the heroic. Their influences remain potent at the dawn of the 21st century in spite of modern predictions that religious influences would steadily decline in concert with the rise of secular democracies and advances in science. Understanding these complex religious influences is a critical dimension of understanding modern human affairs across the full spectrum of endeavors in local, national, and global arenas. In this session, participants will be introduced to a way of understanding religion in contemporary life that challenges the simplistic binaries that are continually reproduced in public discourses. 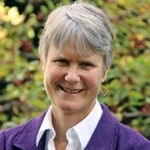 Diane L. Moore is the founding director of the Religious Literacy Project, a senior fellow at the Center for the Study of World Religions, and a Faculty Affiliate of the Middle East Initiative. She focuses her research on enhancing the public understanding of religion through education from the lens of critical theory. She is currently serving as the Principal Investigator for both the Religion, Conflict, and Peace Initiative in partnership with the Kennedy School of Government and the Religious Literacy and the Professions Symposium Series. She recently completed the Religious Literacy and Humanitarian Action Research Project in partnership with Oxfam, which was funded by the Henry Luce Foundation. The report entitled "Local Humanitarian Leadership and Religious Literacy" can be read online. She also served on a task force at the US State Department in the Office of Religion and Global Affairs in the Obama Administration to enhance training about religion for Foreign Service officers and other State Department personnel. Moore has launched a new Massive Open Online Course (MOOC) through Harvard X entitled Religion, Conflict and Peace that began on January 8, 2018. She is also the lead scholar for the six module MOOC through HarvardX entitled World Religions Through Their Scriptures and the professor for the first module in the series entitled Religious Literacy: Traditions and Scriptures. The first version of the course launched in 2016, and a second version will be launched in the spring of 2018 with an added module on Sikhism.